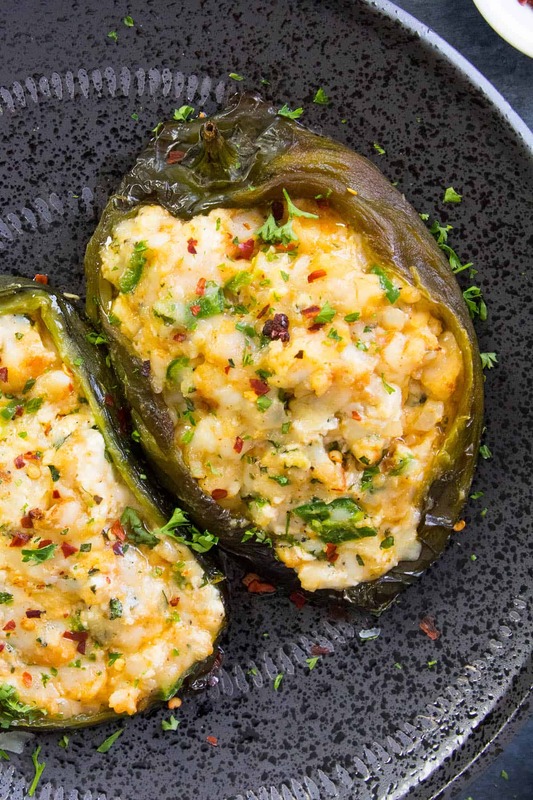 You can grill your stuffed peppers or bake them, whichever you prefer. Or how about the crock pot? Today I chose poblano peppers. I had a couple of these left in the fridge, some decent sized ones, and they were begging me to stuff them. “Please please!” They were calling my name. And so was the shrimp. Cajun shrimp! When working with shrimp, Cajun is such a tasty way to go. You don’t often get to mix seafood with cheese in an effective way, but this is one of them. The combination of Cajun shrimp with the mixture of Manchego and goat cheese, along with the basil and hot sauce — it’s just so good. It defintely belongs on both mine and Patty’s favorite recipes lists. ONE: First, roast your poblano peppers (more on that below). Cool them slightly and peel off the skins. 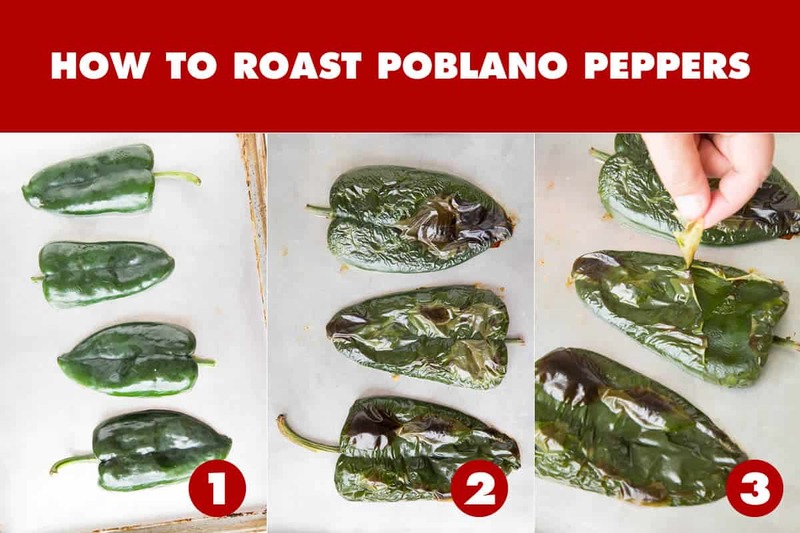 See: How to Roast Poblano Peppers. TWO: Next, cook down some onion, jalapeno (or serrano) peppers and garlic in a pan until they are softened up and begin to caramelize. This will add a LOT of flavor. Scoop them into a mixing bowl. THREE: Season the sear the shrimp in the same pan. I used a good Homemade Cajun Seasoning blend that I love, though you can use your own preferred blend. FOUR: Chop the cooked shrimp and add them to the mixing bow. FIVE: Add in your goat cheese, Manchego cheese and fresh basil. 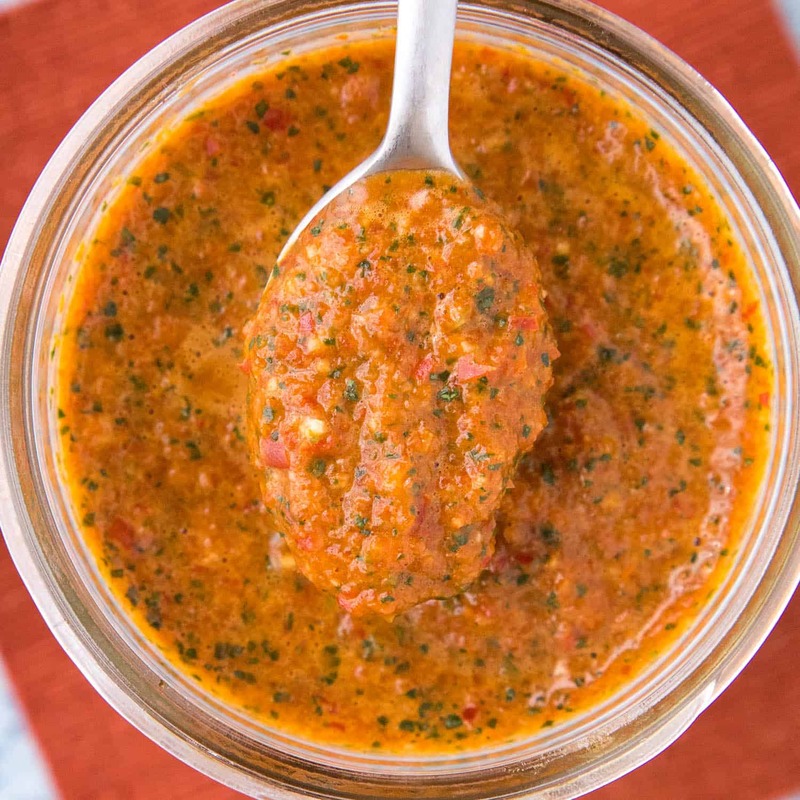 If you want to add a bit of heat, splash in a tablespoon or two of your favorite hot sauce here. Mix it all up! SIX: Slice open the poblano peppers and scoop out the seeds and any of the innards you want to remove. The peppers will be a bit floppy, so be careful not to cut through the back side. SEVEN: Stuff the peppers with your cheesy-shrimp mixture, then bake them for 20-30 minutes, or until the cheeses are nice and melted through. EIGHT: Remove, set them onto a serving plate, then garnish with some fresh chopped parsley and spicy chili flakes. Good stuff! Having a good hot sauce on hand makes for a quick and easy recipe like stuffed peppers. 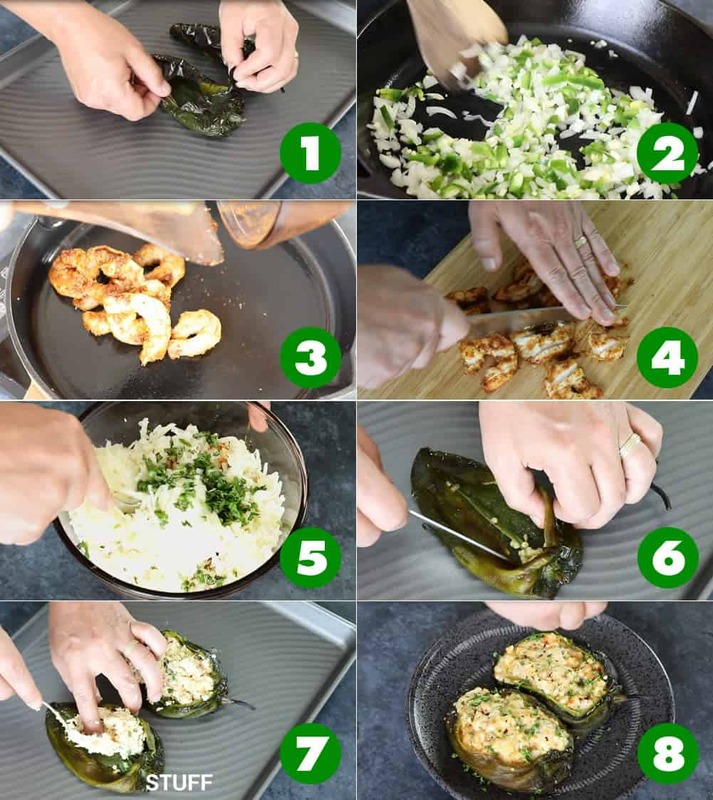 I like to roast the poblanos before stuffing, but you can make this recipe without the roasting. If you prefer, simply slice the poblano peppers in half and set them skin sides down on a baking sheet. Stuff them with the cheese-shrimp mixture, then bake them for 30-40 minutes instead of 20-30 minutes. It helps to add a bit of water to your baking sheet or pan to help soften up the poblano pepper skins. They come out very good this way as well. You can use your grill to bake these up. Just be sure to use some sort of a pan so the peppers don’t fall apart or fall through the grates. You can also vary up the cheeses. If you can’t find goat cheese, cream cheese is a good alternative. I love manchego, but any melty cheese can work, such at colby jack or sharp cheddar. This recipe was updated on 6/14/18 to include new photos and a video. The original recipe was published on 7/15/15. 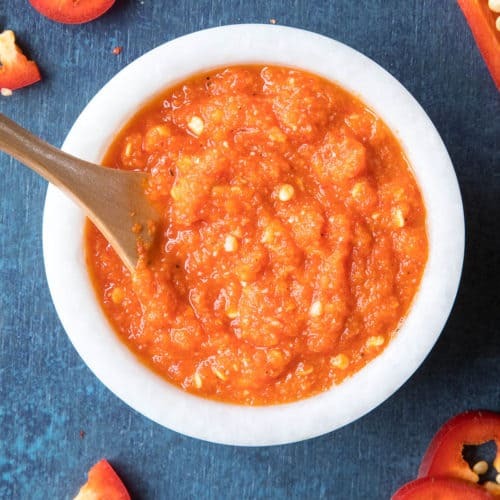 These photos are of the recipe made without roasting the peppers. Still delicious! Excellent, Jeannie! Glad you love them. 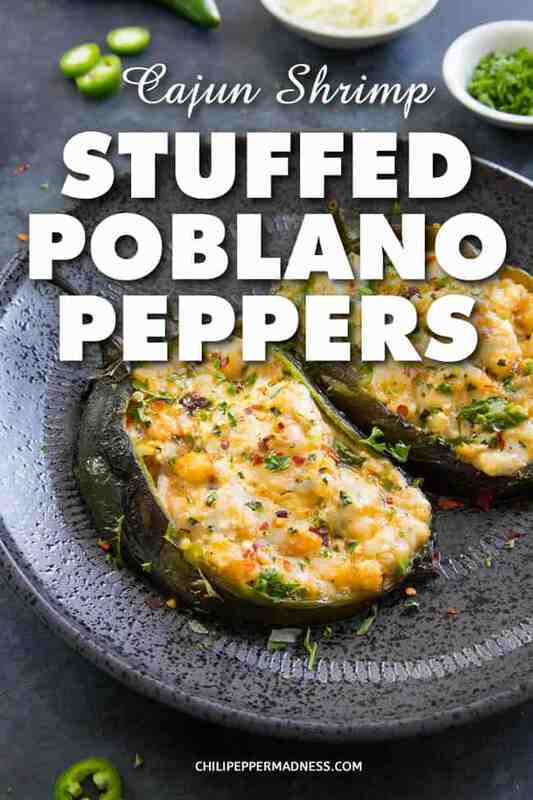 The calories are calculated on the whole poblano with stuffing. Let me know if you have any more questions. Excellent, Ebony! I appreciate it. I’ve included rice in some stuffed pepper recipes and rice always works very nicely. I think quinoa would work good, too, or anything more along that consistency. Let me know how it turns out for you! I tried roasting the peppers first but they became way to soggy and lost their shape? Has this happened for others? What can I do so this doesn’t happen. Haha, it’s possible they were roasted for too long? 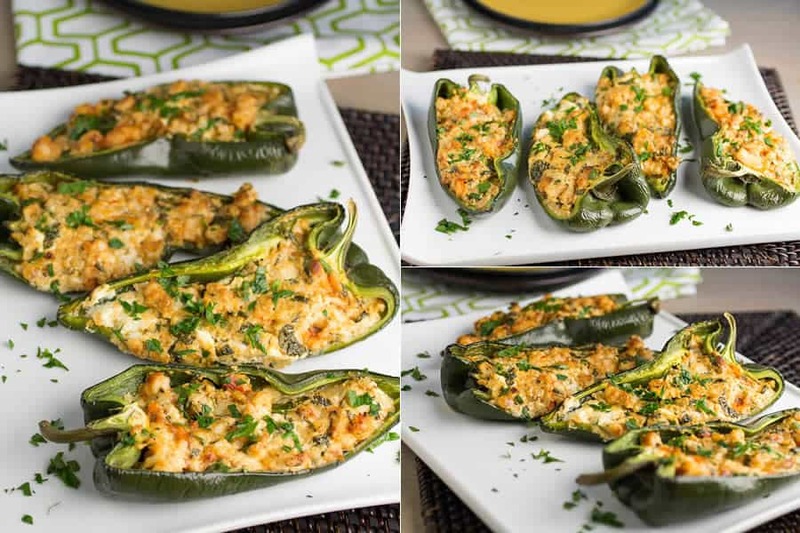 I have roasted poblano peppers many times and stuffed them. They do become quite soft after roasting, and can be difficult to work with. It is best to slice them open carefully. These look absolutely delicious. Love your process photos and video too! Love the combination of the shrimp, cheese and peppers. My family would love this as they are mad for any spice. Thanks for sharing. What time is the party? I’m coming to your house….those poblano peppers look amazing and I’m sure won’t last long. They are perfect for any game day or even Mardi Gras! Totally perfect for game day, absolutely. 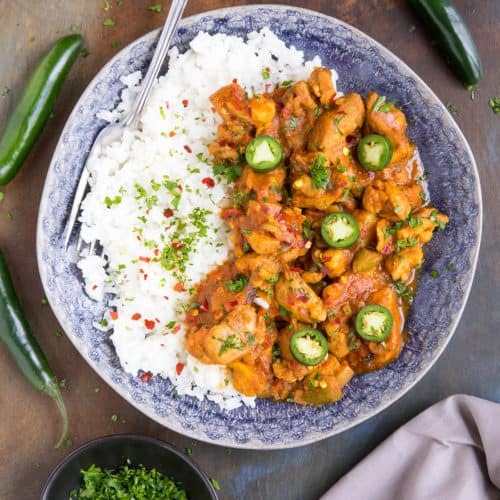 I am always looking for awesome Cajun recipes or Fusion recipes with a Cajun Flare, however, living in LA for several years I am super picky. I love how you have made a good looking Fusion recipe here. I would definitely be down to try it. Those photos look amazing! Thanks, Heidy! Yes, I think you’ll like this one! If you know us, you know that we love all things Cajun and all things seafood, so this recipe is just perfect. Late summer we had a bumper crop of poblanos and were scrambling for ideas for using them. Wish we’d had this then! 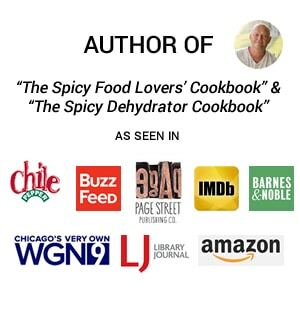 I have tried many of your stuffed pepper recipes Mike, and this is another fantastic recipe. I simply can’t go wrong with your recipes. My Pequin peppers were big producers this year, so I made several spice jars worth of chili powder. 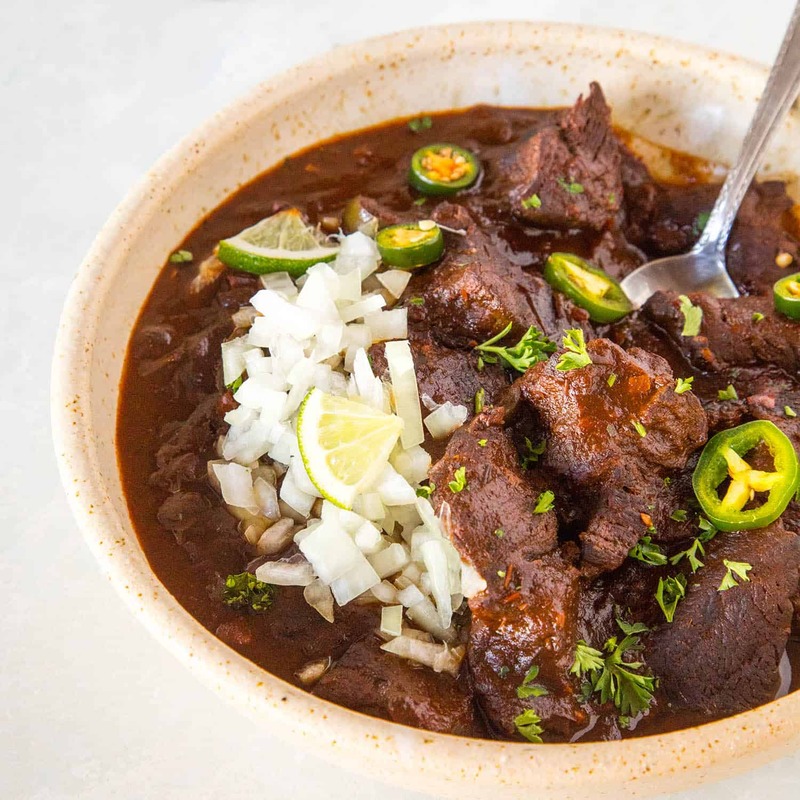 I spiced this dish up a bit by adding some that Pequin chili powder. Was a great addition to this recipe. 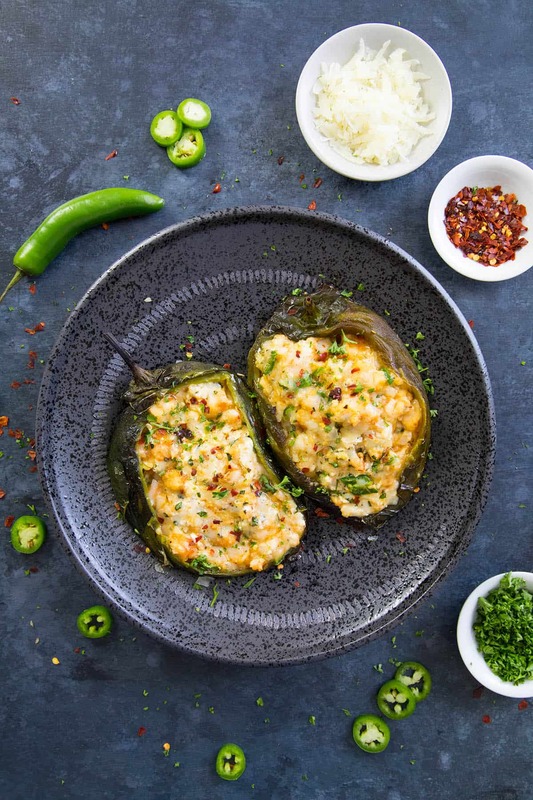 All time favorite so far — Chipotle Chicken Stuffed Peppers. Phenomenal… That is now a fall back recipe for me. Awesome, Brett! Thanks! I appreciate it. Yay! Re-upping one of my CPM faves! I love this recipe. If you’re looking to go a little easy on the cheese, try replacing half of the cheese with cooked quinoa. SOOO good! Thanks, Jackie! That’s a great suggestion! I’ll have to try it with quinoa. Nice! Mike, sounds delish. Love Poblano Peppers. ALSO, love Portabella Mushrooms. Going to have to try this recipe in both. bred into Portabella shrooms – – – – – – – !!! 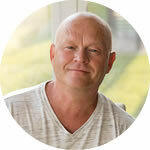 is there any way to cut down on Sodium…………… I am on a 2000 aday……. This looks like to die for, but I really mean please tell me about cutting down on salt !!!!! Hi, Clifford. Much of it has to do with the ingredients you start with. I just tried a different calorie calculator with these exact ingredients and came up with a lower sodium number. Cheeses often have a lot of sodium, and some Cajun seasoning blends include salt in the mixture. 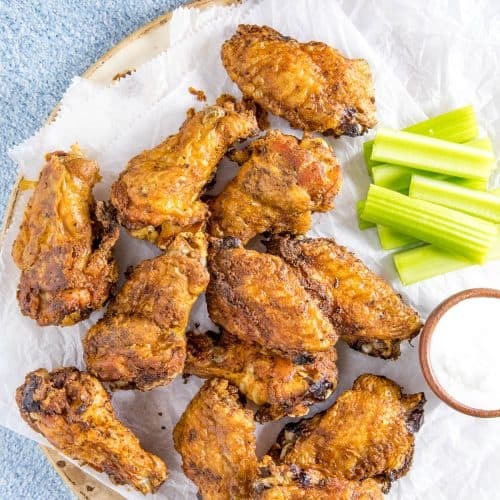 I would look for lower sodium cheeses for this particular recipe, and work in your own preferred seasoning blends, without so much salt. You can also introduce other ingredients in place of all the cheese, such as chicken or shrimp. 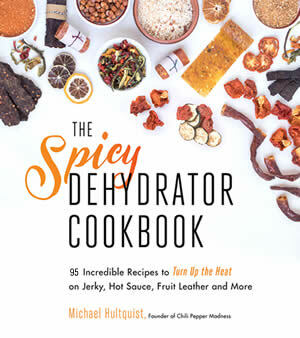 I’m happy to help you adapt this recipe to your diet needs. Just shoot me an email. REPLY: Nicole, for a Keto diet, I would go with a nice avocado salad, personally. Any veggie would work, I think. For non Keto, I’d say a side of Cajun Rice would be great. — Mike from Chili Pepper Madness. REPLY: Amaryllis, I’ve not made this particular recipe in a crock pot, but I believe you can. Let me know how it turns out for you. — Mike from Chili Pepper Madness. 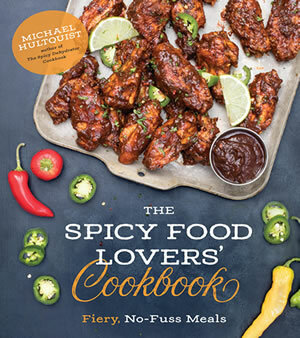 Hi, can’t wait to make these! Do you think I can prep them day before and bake day of? REPLY: Krysti, YES, you can prepare these ahead. Just keep them wrapped in the fridge, sealed up tight. Have fun! — Mike from Chili Pepper Madness. Did you blacken poblanos on fire first or you left skin on? REPLY: Alina, I just stuffed them and baked them originally, but you can roast then peel them first if you’d like, as I did in the updated recipe. — Mike from Chili Pepper Madness. These look so good, but quick question – what size shrimp do you use here? REPLY: Jillian, medium is fine. It will depend on the size of the peppers overall for how much actual shrimp you can fit. — Mike from Chili Pepper Madness. Has anyone tried adding chorizo? I feel that would be really good but dont want to try it if someone already had a bad experience. Lol. TIA!! REPLY: Kimberlee, I think chorizo would be a GREAT addition. Give it a try! — Mike from Chili Pepper Madness. How many calories do you think is in one stuffed pepper? REPLY: Luisa, about 630 calories per stuffed pepper. I hope you enjoy them! — Mike from Chili Pepper Madness. Do you have to cook the shrimp first? It seems like sauteeing them and then baking them for 30 min will make them overdone. REPLY: Monica, it is best to cook them first. They won’t overcook with all the other ingredients. You’ll maintain a better texture this way. — Mike from Chili Pepper Madness. 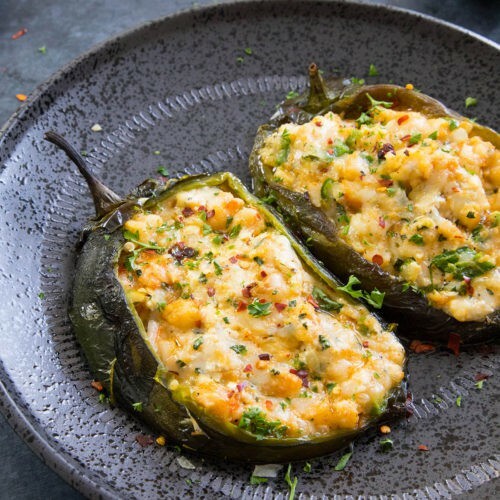 Drooling over these yummy stuffed peppers! I must make these! So much yumminess here! 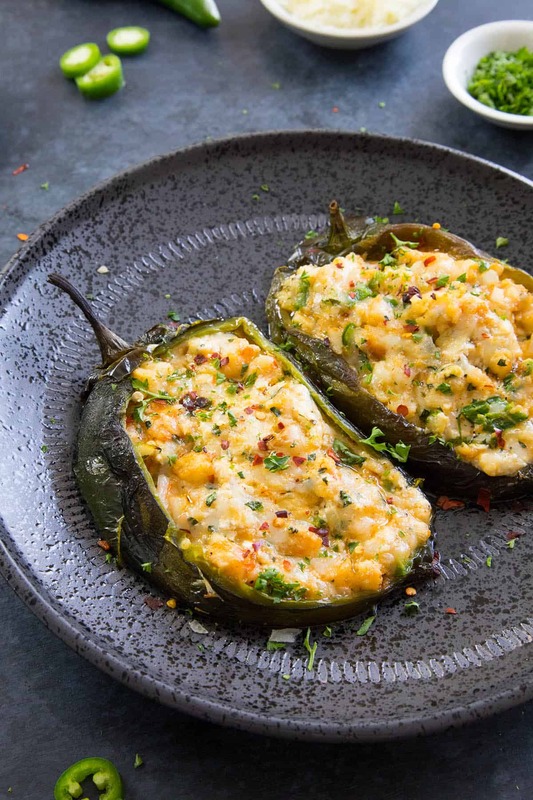 Love all these flavors, particularly stuffed into a poblano! I know, right? I love poblanos! Thanks for yet another great recipe !!! I had to substitute Monterey Jack for the Manchego Cheese, but these things do happen. Quick and easy preparation with a delicious result. Awesome, R.C.! Super happy you enjoyed them!